Promovision Ltd is NZ based promotional company that offers best quality custom printed promotional pens with fastest turnover time and best price. We offer your customers a chance to have your high-quality promotional items in their homes with your logos on them. You, in turn make a profit from each sale! Hold no inventory, have a place to showcase all of your items online, share your link with your clients for easy purchasing, and don't worry about fulfillment and shipping, we have that taken care of too. Our company has been inflatables supplier and producer since 2008 and indoor playgrounds supplier since 2010. Our main product product portfolio includes: amusement inflatables, advertising inflatables, pneumatic structures, indoor playgrounds, trampolines. A custom usb hub is a device with which a user can connect various devices with its multiple ports. This useful accessory is used by marketers for distributing at trade shows and events to increase their brand awareness. If you are looking for corporate gifts item in Delhi NCR then we help you to get high quality and affordable market price corporate gift at our online platform so visit our website and see various promotional gifts and choose the best one you need. We produce outstanding quality Label Bottled Water. Custom Bottled Water for Car Dealerships, Dentists, Professional and Service companies. For anyone that wants to make an impression! Brandable - Sydney based top supplier of promotional products and corporate gifts. Choose from a unique collection of branded corporate merchandise at best price! If you are in search of unique promotional products to promote your business then look no further - Super Promotions is a dedicated online Wholesale Promotional Products Website. 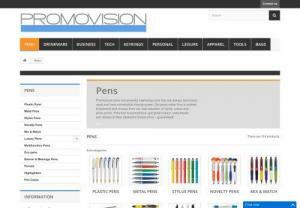 To promote your business, select different types of personalized pens with your business logo at Advantage-advertising. Find here details of Getell Display selling Display Stand, Gifts, Ha. All the products with super quality and competitive price. Our company is a leader in the industry and we will not disappoint you. Our Customized Countertop Display, Customized Display Box, Corrugated Paper Floor Display Standing featured High quality, Durable and fashionable, Competitive price and It can be also used for supermarket/ retail store. In addition, Any sizes and colors can be customized by your requirement. Getell Display is one of the largest manufacturers and suppliers on Custom Display POSM, shelf display stand, paper/plastic bags and promotion gifts located in China. Our stacking displays, countertop display, dump bin, shelf display stand, packaging have a great reputation in the overseas markets. We can create absolutely any shape in molded 3D rubber. We can use a logo, product, image - anything. If you send us your logo and any ideas you have including colours, web site, we can create a FREE Digital PDF Mockup within 24 hours. Dynamic Gift, Canada offers a wide range of customized marketing gifts and tradeshow display items like event tents and feather banners. The majority of our products are manufactured in Canada and we promise timely delivery and the best quality. GingerCup is a top offline marketing agency offering paper cup advertising. We take branding up-close and personal by advertising on tea and coffee paper cups. These promotional paper cups are distributed at high traffic locations during tea breaks to generate a call to action. Custom Engraved Gifts & Promotional Items. Located in Regina, Saskatchewan Canada.